Maynard Art Show: Tropical Cyclone (aka hurricane) Hellen, over Madagascar at the time of this photo, was massive in size and very intense, with sustained winds up to 230 kmh (145 mph) and torrential rains. Yet from the calmness of space, it appears almost peaceful, with its broad curves of clouds, lit from the left by the setting Sun. 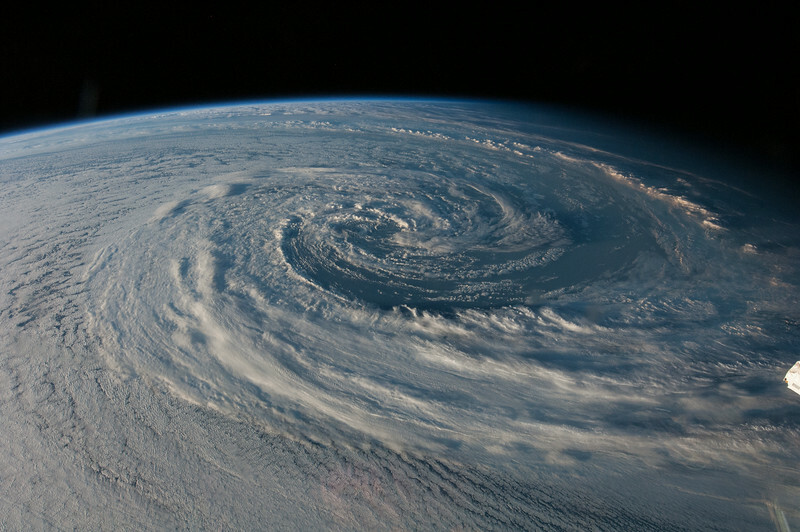 This photo was towards the end of Hellen’s three-day duration, after it had calmed down to Category 1. Meteorologists would know this because the eye at the center is more diffuse, and not the very tight circle typical of a hurricane’s most powerful stage.